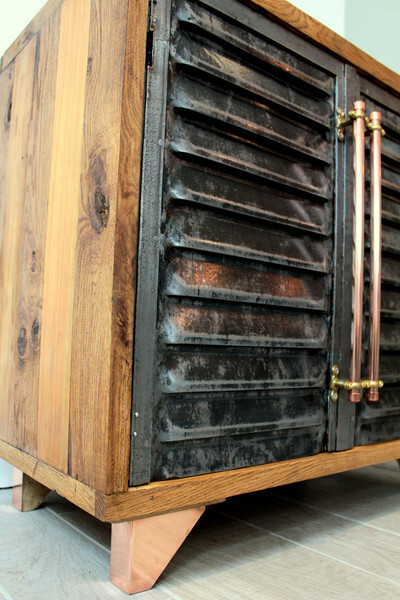 This is a hand crafted cabinet made using reclaimed materials to give the perfect vintage industrial look. 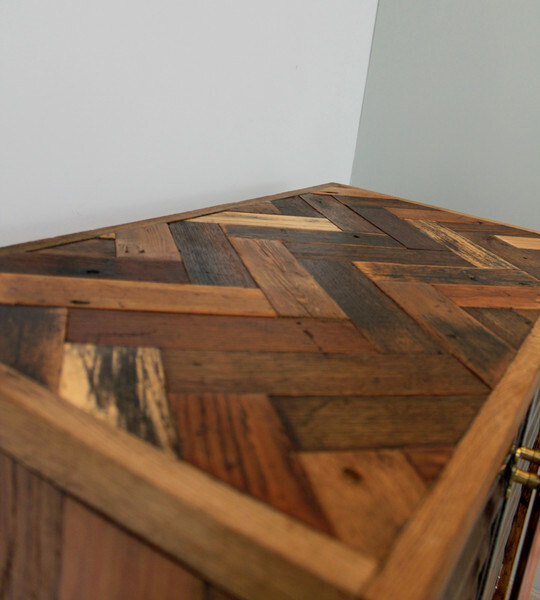 Gorgeous reclaimed wood forms the outer body and intricate parquet top. We deliberately used several different woods to create great depth and texture including oak, beech and antique pine. 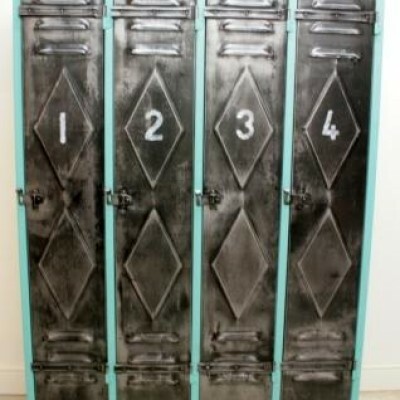 The doors are made from Vintage French metal shutters which we have highly polished showing off wonderful patina. 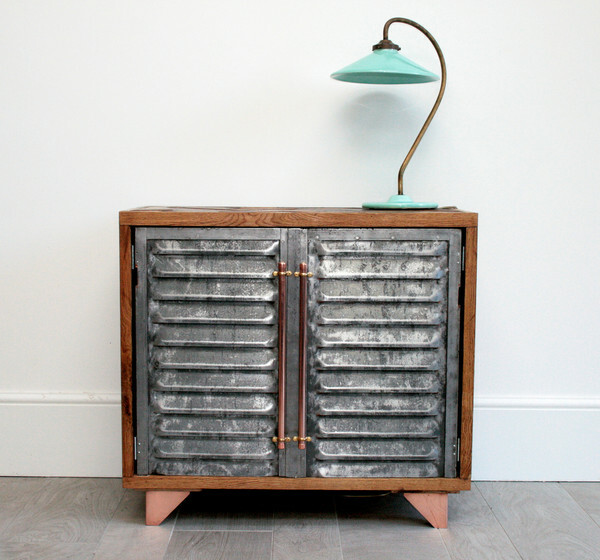 The finishing touches are gorgeous highly polished, copper feet and large copper handles. This particular example has one inner shelf towards the top of the cabinet to hold a WiFi box and larger shelves at the bottom to hold files as was the clients request. You may specify the positioning of the inner shelving to suit your needs. 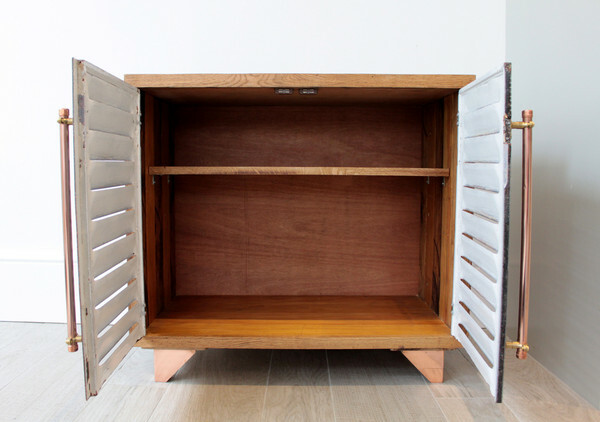 We can build these cabinets to a greater scale with 3 or 4 shutter door cupboards if you wish to use the piece as a larger sideboard. A unique combination of some fabulous materials, this practical piece is both beautiful and extremely useful.